LAND SPECIALISTS - What is Land Surveying? A survey made for the purpose of supplying a title company and lender with survey and location data necessary for the issuing of title and/or mortgage insurance. A detailed map is required to be done to “ALTA” specifications. The acronym "ALTA" stands for American Land Title Association. Specifications of this type of Survey include (but are not limited to) determining property lines, location of improvements, identifying all easements, utilities and other conditions affecting the property. ALTA surveys are very comprehensive surveys and typically cost thousands of dollars and take weeks to complete. Any ALTA Land Survey must meet the "Minimum Standard Detail Requirements for ALTA/ACSM Land Title Surveys" as adopted by the American Land Title Association, the American Congress on Surveying and Mapping, and the National Society of Professional Surveyors. The Alta Survey is most often performed on commercial properties. A boundary survey establishes the true property corners and property lines of a parcel of land. Boundary surveys are typically performed to obtain building permits, to resolve property disputes, and for erecting fences. Easement lines may also be located, if requested, with this type of survey. Survey measurements made prior to or while construction is in progress to control elevation, horizontal position, dimensions, and configuration, i.e. stakeout of line and grade for buildings, fences, roads, etc. 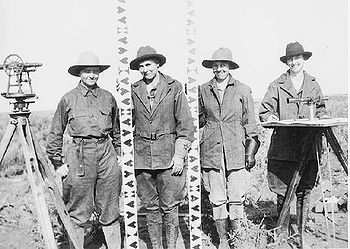 A Land Survey providing precise locations of horizontal and vertical positions of points for use in boundary determination, mapping for aerial photographs, construction staking, or other needs. Analysis of various legal descriptions and survey maps; field locating of record, existing monuments, and physical features; and mapping showing this information for the purpose of presenting a visual exhibit to be used in a courtroom. In some areas of the US, this may also me known as a “Torrens” Survey of “Registered” or “Torrens” land. A “Judicial” Survey is a Land Survey ordered by the courts system, at times setting “Judicial Land Marks", also referred to as “JLM’s”. Some also may refer to these as "JM's" which stand for "Judicial Monument", or "Judicial Marker". Elevation surveys determine the elevation of various sections of a building or land. 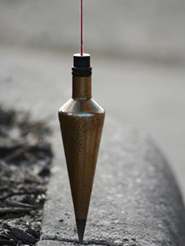 Typically these are used to aid in building plans and to determine if a property is in a flood zone. 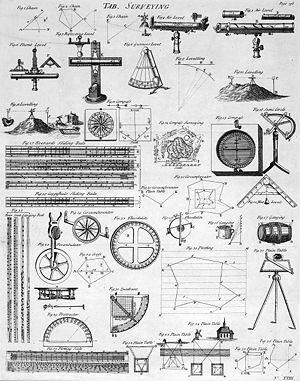 A Land Survey which is affected by and takes into account the curvature of the earth and astronomic observations. Geographic Information Systems and Land Information Systems. Collect data relating to bodies of water, and may include the water depth, bottom contours and configuration, directions and velocity of current, heights and water stages, and the location of fixed objects for navigational purposes. Are needed when you may need to divide an existing parcel of land into two or more parcels. All surveys for lot splits include a plat of the new parcels and the required legal description to record the split. It is important to note the size of the original parcel as well as the size of the proposed new parcel(s) in the comments section of the request form in order to receive accurate quotes. A survey that determines the location and dimensions of underground parts of a mine, including the natural and artificial features of the mine, both above and below ground. These surveys are done with both vertical and horizontal control, locating the features in a three dimensional manner. Are not used for consistent purposes in all States. They are often a product that is provided on residential loans. A drawing may or may not be provided. Be aware that many of these “Mortgage Inspection” surveys are NOT BOUNDARY SURVEYS. Often they are required by lending institutions. Fences and other improvements should not be constructed based on a mortgage inspection. This is because boundary lines are not determined on many “Mortgage Inspection” surveys. Look for the “Certification” of the Land Surveyor, which usually includes the signature with the Land Surveyor’s license number, and State of Practice. These surveys are typically used by title companies and mortgage lenders to obtain proof that the major improvements on the property are free of encroachments onto neighboring properties or into recorded easements. Mortgage surveys do not establish property corners or property lines and may not be used for building purposes. Obtains measurements of quantities, usually in conjunction with a construction process, earthwork, etc. Often times the Land Surveyor works closely with a Civil Engineer, Architect, or Landscape Architect. A survey performed to obtain horizontal and or vertical dimensional data so that a constructed facility may be delineated, i.e. foundation survey, or as-built of improvements. Specifically, an As-Built Survey is a survey to physically locate structures and improvements on a parcel of land, generally for mortgage purposes. This does not always include boundary monumentation. A survey of “registered” (Torrens-title) land, usually done to shorten lengthy legal descriptions, or divide larger parcels of “Torrens-title” land into smaller tracts. Reconnaissance, preliminary survey and location survey for an alignment or linear type feature such as a road, railroad, canal, pipeline or utility line. Also known as a “Subdivision Plat”, it is the subdivision of a tract of land into smaller parcels, showing monumentation and mathematical survey data on a map, conforming to local Government (usually County) ordinances. A Land Survey locating natural and man made features such as buildings, improvements, fences, elevations, land contours, trees, streams, etc. This type of survey may be required by a government agency, or may be used by Engineers and/or Architects for the design of improvements or developments on a site.